This resilient Acrylic Rectangular Bar Table from Tropitone features an attractive "hammered" textured acrylic top. 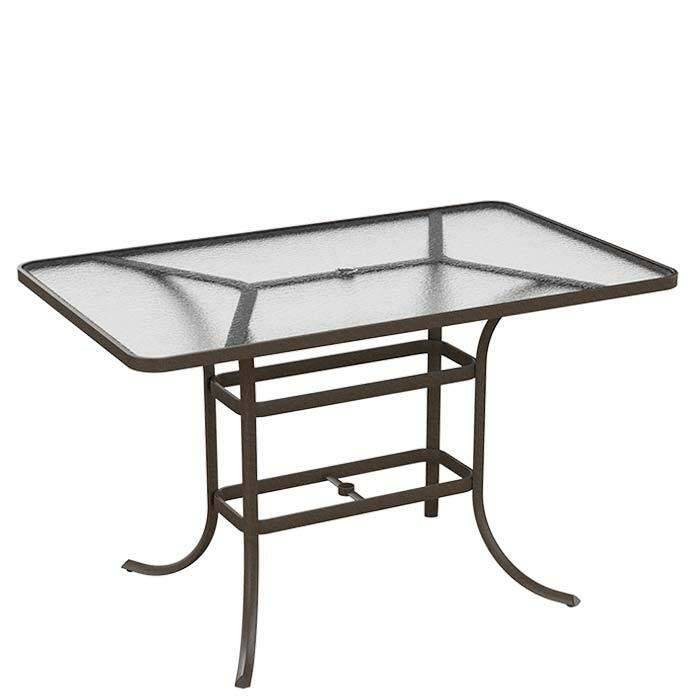 The thick acrylic top is weather and shatter resistant, making the outdoor table as tough as it is stylish. When ease of maintenance, durability and safety are of concern, acrylic tops are the ideal solution. Pair this Acrylic Rectangular Bar Table with a Tropitone® Swivel or Stationary Bar Stool for the ultimate social setting.